The ruling Liberal Democratic Party is set to highlight in its action plan for 2018 its resolve to take the lead in achieving the constitutional revisions sought by Prime Minister Shinzo Abe, a draft of the plan shows. 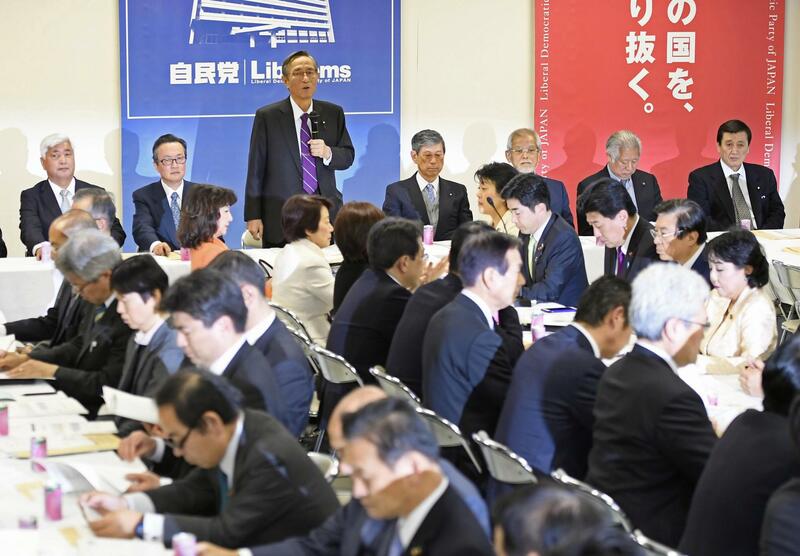 While emphasizing that the Constitution expresses the form of the country and its ideals, the preamble of the annual action plan, obtained by Jiji Press on Friday, calls for the LDP to take the lead in deepening public debate on Abe’s amendment proposals. The LDP aims to adopt the plan at its party convention on March 25. After the preamble, the plan calls on the party to present its amendment proposals. In last year’s action plan, it only referred to constitutional revision as one of its policy challenges. The draft of the 2018 plan calls on the LDP to promote constructive discussion on revising the Constitution, including four key issues including war-renouncing Article 9 and how to extend lawmakers’ terms of office during emergencies. 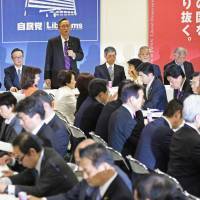 The LDP will openly consider proposals from other parties, the plan says. It also says prefectural chapters will sponsor study sessions on constitutional revision to seek support from a wary public. The plan says the LDP will try to build a broad-based consensus within the Diet panels handling constitutional issues. This year, Abe is widely expected to seek a historic third term as LDP president, which would put him on course to become Japan’s longest-serving prime minister. This could improve his chances of achieving Japan’s first referendum on revising the postwar charter. In the meantime, the LDP plan also calls on its members to beef up their daily activities to win public support ahead of the unified local elections and the Upper House election next year. The plan also shows that the LDP is determined to win the Okinawa gubernatorial election expected in November. It plans to ride the momentum from February’s mayoral election in Nago, which saw the LDP-backed candidate defeat the incumbent, Susumu Inamine, who opposed the bilateral plan to move unpopular U.S. Marine Corps Air Station Futenma from crowded Ginowan further north to Nago.